People: Majority Turks. 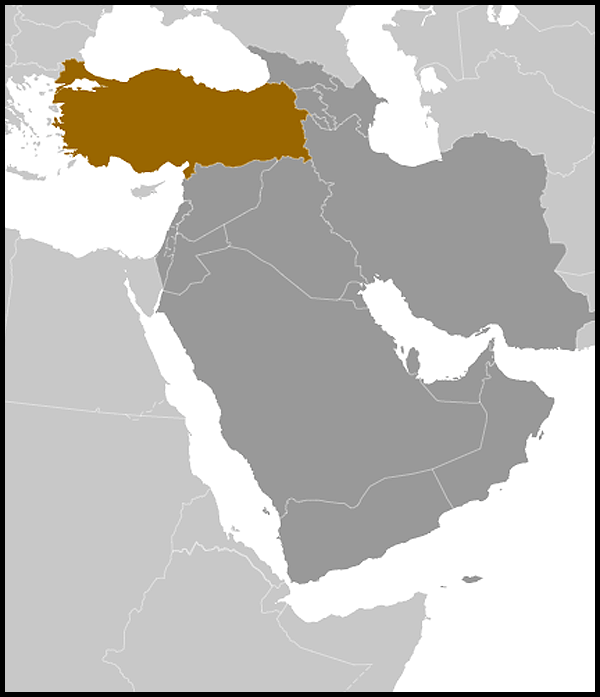 Certain non-Muslim minorities recognised under the Treaty of Lausanne including Jews, Armenians and Greeks. Other ethnic peoples include Kurds, Circassians and Bosnians. Membership of international groupings/organisations: UN, NATO, the Council of Europe, the Organisation for Security and Co-operation in Europe (OSCE), Organisation for Economic Co-operation and Development (OECD), G-20, an Associate Member of the Western European Union, and a candidate for accession to the European Union (negotiations started on 3 October 2005). In 1923, following the demise of the Ottoman Empire, Mustafa Kemal Atatürk (1881-1938) founded the Republic of Turkey and became Turkey's first President. His aim was to transform Turkey into a modern, secular state which could compare with Western European nations in terms of military and economic strength. Today, Turkey is a member of almost every Western European international organisation, joining the Council of Europe in 1949; NATO in 1952; and achieving full candidate status for European Union membership in 1999. The Turkish military regards itself as the main guardian of the principles of Atatürk's legacy, and has intervened to bring about regime change on four occasions; 1960, 1971, 1980 and most recently in 1997. In September 1980 the Turkish military took over government following a breakdown of law and order under a succession of weak and divided coalition governments. General Evren, Chief of the General Staff, became Head of State and President of the National Security Council (NSC) - an advisory body consisting of the President, Prime Minister, other key ministers and senior members of the military. Under martial law, they clamped down on civil liberties in order to maintain stability and developed a timetable for the restoration of an elected government. In 1982 a new Constitution was adopted. Turgut Özal replaced Evren as President in 1989 modernising the Turkish economy and raising Turkey's international standing. In May 1993 Prime Minister Süleyman Demirel was elected President. Mrs Tansu Çiller, previously Economics Minister, was elected to replace Demirel as Chairman of the True Path Party (DYP) in June 1993 and subsequently became Turkey's first female Prime Minister. In June 1996 Necmettin Erbakan became Prime Minister when his Islam-rooted Refah party formed a coalition with the DYP. However, Refah's ideology led to friction with the NSC who feared that the new government might take steps to undermine Turkey's secular state and western orientation. Largely as a result of sustained pressure from the NSC Erbakan resigned. Bulent Ecevit’s Democratic Left Party (DSP) benefited most from the political upheaval that followed, forming coalitions first with the Motherland Party (ANAP) alone, then with both the ANAP and DYP. The general and local elections in Turkey of April 1999 brought to power a coalition of the DSP, ANAP and Devlet Bahceli's Nationalist Action Party (MHP), with Bulent Ecevit remaining as Prime Minister. Ahmet Necdet Sezer, former Head of Turkey's Constitutional Court, was elected President of Turkey in May 2000. The government began a programme of constitutional and economic reforms in its first year in office, particularly those needed to take forward Turkey's EU candidacy. Concerns about the government's ability to implement these reforms, in addition to a corruption scandal, led to a period of economic crisis in February 2001. The Prime Minister responded by appointing Kemal Dervis, a former World Bank vice president, as Economy Minister. Turkey secured new loans from the IMF and the World Bank in 2001 and 2002 to fund a series of economic and structural reforms as well as restoring macroeconomic stability and providing budgetary support. However, signs of tension within the coalition continued and Ecevit's failure to resign on health grounds in May 2002 led to the resignations of more than sixty DSP deputies and several Ministers, including the Deputy Prime Minister and the Foreign Minister resigned in May 2002. These resignations combined with growing pressure from both opposition parties and DSP's coalition partners, led to the Turkish Parliament's decision to hold early elections on 3 November 2002. In the elections, only the socially conservative Justice and Development Party (AKP), an off-shoot of the banned successor to Erbakan’s Refah party, and the centre-left Republican People's Party (CHP) crossed the 10% threshold needed to return MPs to parliament. Despite the AKP victory their chairman, Recep Tayyip Erdoğan, could not take office as Prime Minister because of a conviction for ‘inciting religious hatred’ for remarks made in a speech in 1998, which banned him from standing for election to Parliament. As a result his deputy, Abdullah Gul, became PM instead. However in March 2003, Parliament passed a constitutional amendment that annulled his ban enabling him to be elected to Parliament and take over as Prime Minister, with Gul as Foreign Minister. Key issues that have dominated the AKP's agenda since their 2002 election include, domestically, the economy, EU accession and related legislative reforms, the Kurdish issue and civil-military relations. Externally the main focus has been on regional developments, particularly in the Middle East, South Asia, Western Balkans and Cyprus. In June 2011 Erdoğan won a historic third term in office and is the only prime minister in Turkish history to win three consecutive general elections. The AK Party won 49.83% of the vote and 327 seats, slightly less than the 330 required to push through constitutional change by referendum without a political alliance. The second largest party was the Republican People’s Party, winning 25.9% of the vote, and the MHP Nationalist Party won 13% of the vote. The pro Kurdish BDP Alliance won 6.57% of the vote and returned 36 MP’s. In response the BDP and CHP boycotted parliament. Both parties took up their oaths in October 2011, and all four main political parties are taking part in the conciliation commission, which aims to draft a new constitution. Following the election Prime Minister Erdoğan pledged a new constitution “for Kurds, Turks, Alevis and all minorities”. The European Commission and all Member States expect Turkey to ensure full, non-discriminatory implementation of the Additional Protocol to the Ankara Agreement (AAP - covering the Customs Union between Turkey and the EU) to cover the new Member States who joined in 2004, including Cyprus. This includes the removal of all obstacles to the free movement of goods, and restrictions on means of transport Turkey’s non-implementation of the AAP continues to be an issue in Turkey’s accession process, and the measures blocking progress across several areas remain in place. 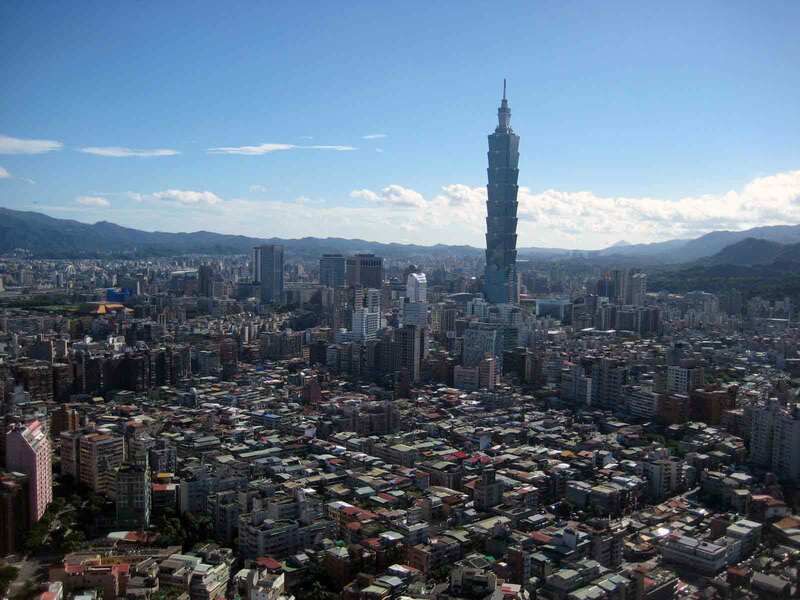 The December 2010 General Affairs Council expected “progress without further delay”. Overall, since the beginning of accession negotiations in 2005 thirteen of the 33 negotiation chapters have been opened, one of which has been provisionally closed. UK and EU, contributing to our security, stability and prosperity, as well as being of benefit to Turkey itself. Turkey has an increasingly active foreign policy in the Middle East, the Western Balkans and South Asia. As a candidate for EU accession, NATO ally, member of the OSCE and Council of Europe, and a recent member of the UN Security Council, Turkey is a vital strategic partner for the UK. Turkey is contributing to the ISAF mission in Afghanistan, the EU-lead mission in Bosnia Herzegovina (EUFOR Althea) and to the NATO peacekeeping mission in Kosovo. It also contributed to the NATO mission in Libya. 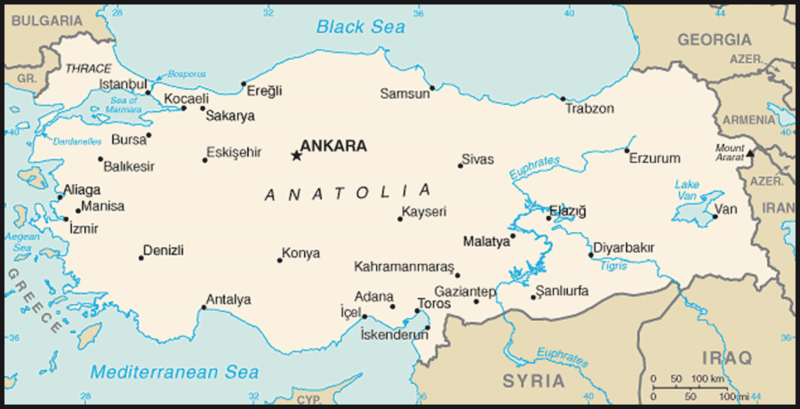 Natural hazards: severe earthquakes, especially in northern Turkey. Turkey is the 6th largest economy in Europe and 16th in the world. It attracted $9 billion of Foreign Domestic Investment (FDI) in 2010 and this is expected to increase to $10bn in 2011, particularly in energy, automotive, financial services, R&D, and IT. Turkey’s investment climate has strengthened in the last decade and foreign investors are optimistic about their long term investment prospects in Turkey. Turkey is a major trading partner of the UK. The current value of UK-Turkey trade is worth over $9 billion a year. Trade volume between the two countries has continued to increase. Forecasts for 2011 suggest that UK exports to Turkey would reach £3.9 billion and UK imports from Turkey £5.5 billion. Therefore, the total value of trade is expected to be £9.4 billion. Over 41 British companies from a wide range of sectors, are investing in Turkey, including BP, Shell, Vodafone, Unilever (UK), HSBC, Aviva, Tesco, and Cadbury. Most recently two large UK firms, Diageo and Stagecoach, have won bids for major investments in Turkey (£1.3bn and £527m respectively). The Turkey and the UK currently operate a number of joint economic and investment forums including the ‘UK / Turkey Knowledge Partnership’, the CEO forum, and the Joint Economic and Trade Committee (JETCO). The country has been one of the fastest recovering countries following the financial crisis and grew by 9.6% for the first nine months of 2011. Projections of annual growth were revised upwards to 8%.. This currently makes Turkey the fastest growing country in Europe. Turkey is estimated to be the third fastest growing country after China and India by 2017. Turkey is already a member of the EU Customs Union and is negotiating for full EU membership. With its large, young and well educated population (latest estimate 77 million), Turkey is one of the most dynamic and attractive markets for UK companies, with opportunities in a wide variety of sector. Further information about Turkey's economy can be found at UK Trade & Investment Country Profile: Turkey. Turkey is a secular democracy with a majority Muslim population. The Justice and Development Party (AKP), a centre-right party with Islamist roots, has held power since 2002. In June 2011 the AK Party won a historic third term in parliamentary elections giving Prime Minister Erdogan an unprecedented third term in office. Pro Kurdish BDP Alliance 6.57% (35 seats)On re-election in June 2011 Prime Minister Erdogan promised a new constitution that would enhance the rights and democratic freedoms of all Turkish citizens. Initially two parties, the CHP and the pro Kurdish BDP alliance boycotted parliament in response to the imprisonment of MPs from both parties. The two parties finally took their parliamentary oath in October 2011. As a result, the Conciliation Commission tasked with drafting a new constitution, consisting of the four main parties – ruling (soft-Islamist) AK Party, and opposition (secular) CHP, (nationalist) MHP and (Kurdish) BDP – was formed under the chairmanship of speaker Cemil Cicek. In February 2008, the government introduced constitutional changes aimed at lifting the ban on women’s right to wear the headscarf in universities while outlawing more extreme forms of Islamic dress such as the veil. The right of women to wear the headscarf has been one of the most debated issues in Turkish politics. It is directly related to the ongoing divide between secularists and Islamists in Turkey. The opposition CH Party challenged these changes in the Constitutional Court, arguing that they threaten the secular nature of the state, and this challenge was upheld by the Court. There remains a de facto ban on the wearing of head scarves in the civil service, universities and military establishments. On 14 March 2008, the Chief Prosecutor of the Appeals Court filed an indictment at the Constitutional Court for closure of the AKP. He accused the AKP of violating secular principles and demanded a five-year ban from involvement in politics for 71 prominent AKP figures, including Prime Minister Erdoğan and President Gul (the inclusion of Gul was particularly controversial as the President is politically neutral and can only be indicted for treason). On 30 July the Constitutional Court decided to only impose a fine on the AK Party, thus allowing them to remain in government and thus respecting the democratic choice of the majority of Turks who had voted for them in 2007. The Turkish Constitutional Court ruled on 11 December 2009 to close the Turkish-Kurdish nationalist party, the DTP on the grounds of alleged links to the PKK, the illegal Kurdish nationalist terrorist group. In January 2010, the DTP was succeeded by the Peace and Democracy Party (BDP). Since 1970 24 other political parties have been closed including the AKP’s predecessor parties, the Welfare Party (1998) and the Virtue Party (2001), both closed for ‘threatening the secular order’. On 16 November 2009 the Turkish government announced the first concrete proposals for a package of reforms known as the ‘Democratic Opening’ to address the problems of the Kurds, including further liberalisation of Kurdish and human rights reforms. The process has stalled, but the AK Party have promised to re-write the Turkish constitution – with input from other political parties and in consultation with NGOs and civil society.. The new constitution may make greater provision for all of Turkey’s minority groups – including the Kurds – to participate in democratic society. However ongoing acts of violence by the armed terrorist group, the PKK, may hamper these efforts.